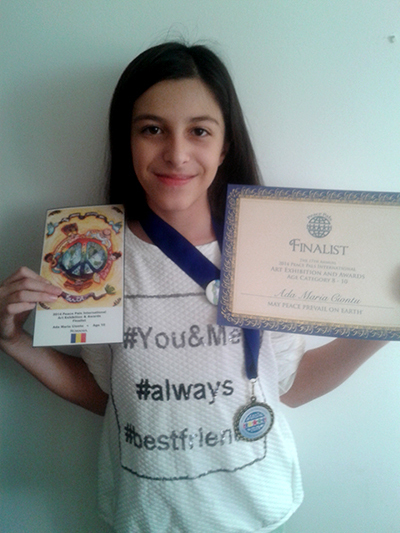 Congratulations Ada Ciontu, age 10 from Romania who was one of our Finalist in her age category in the 17th annual Peace Pals International Art Exhibition and Awards! We hope you are fine and in good health. Big hugs from us and a very Merry Christmas! To see all of our Winners and Finalist for 2014 – Please click here.